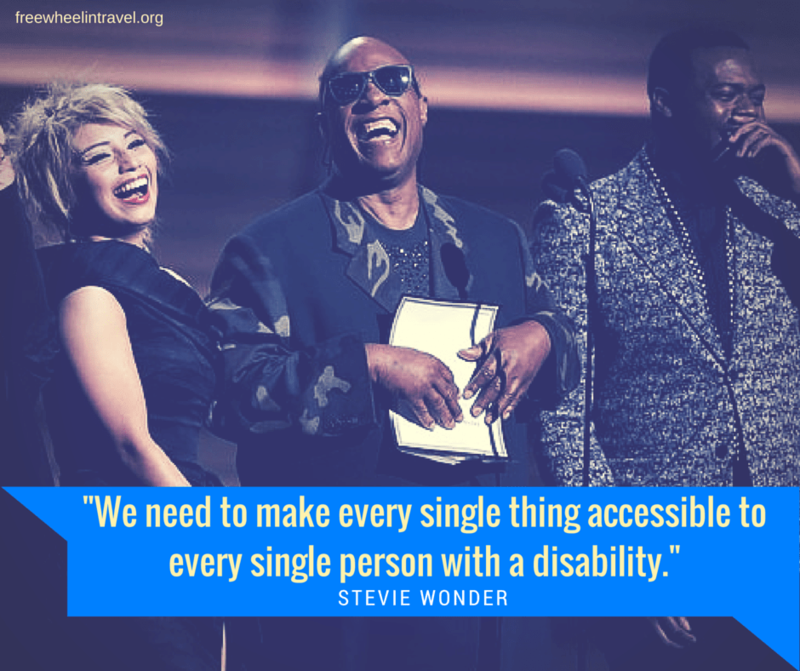 At the 2016 Grammy Awards, Stevie Wonder spoke a powerful truth. He said “We need to make every single thing accessible to every single person with a disability.” Here are 7 reasons why it’s time for the entertainment industry to listen to his words. One out of five people has a disability, yet movies, TV shows, musicals, and bands do not reflect this diversity. Besides Stevie Wonder, how many disabled musicians can you name? If people with disabilities were proportionally represented in the media, all TV shows, which have an average of 5 to 6 main characters, would include at least one with some sort of disability. That’s not the case now, and it’s time for a change. We’re underrepresented backstage and behind the camera as well. There are almost no directors, producers, agents, or managers with disabilities in the entertainment industry. People without disabilities playing disabled characters frequently win major industry awards such as Oscars and Tonys. From Eddie Redmayne as Stephen Hawking to Jack Nicholson in As Good As It Gets, playing a character with a physical or mental disability is a consistent path to Oscar gold. Meanwhile, actors who actually have disabilities often can’t get work. Why aren’t people with disabilities getting the chance to tell our own stories, stories that people clearly want to hear? 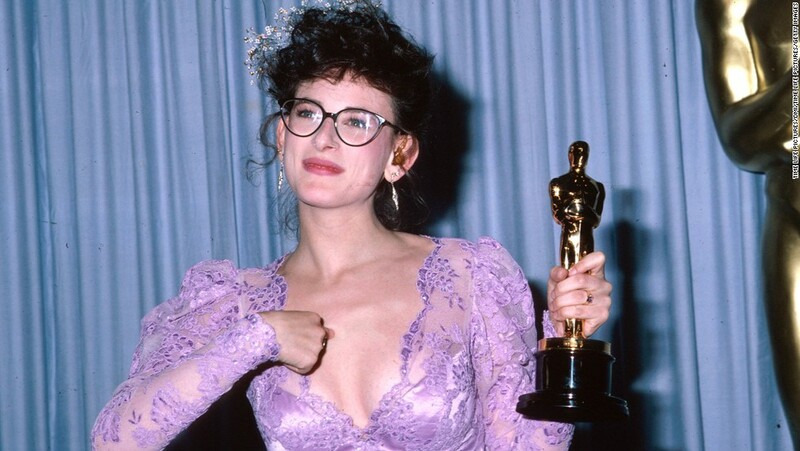 Only one person with a visible disability has ever won an Academy Award, Marlee Matlin for Children of a Lesser God. #OscarsSoWhite is a big problem, but #OscarsSoAbled is, too, and nobody is talking about it. 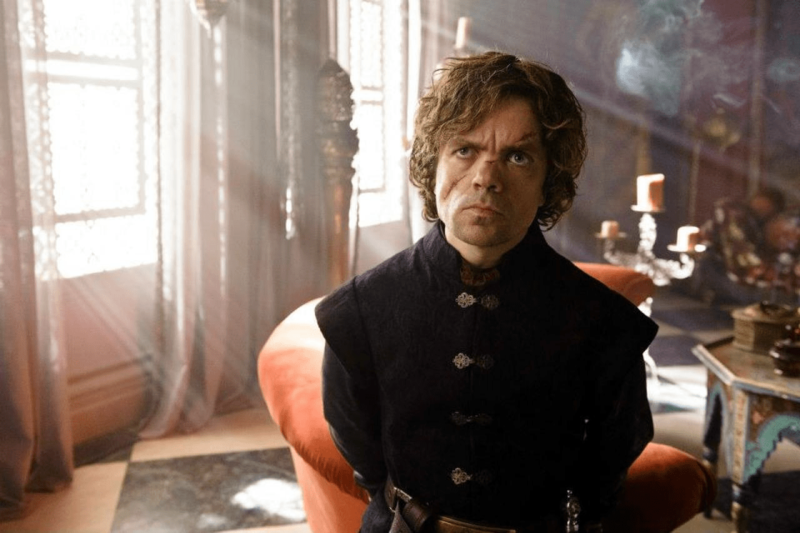 Peter Dinklage plays a significant, complex character with dwarfism in Game of Thrones, not a tired stereotype. There are people with disabilities who sing, play instruments, act, and create art. Many are struggling to pursue careers in the entertainment industry because of discrimination. Stevie Wonder has won 25 Grammys. How many other musical greats remain undiscovered because they happen to have disabilities? If you’re looking for a fresh face to tell a unique story, we are a good community in which to look. Consider the actors who have recently become breakout stars because a casting director dared to try something new. Peter Dinklage is a real person with dwarfism playing a dwarf in Game of Thrones, vs the CGI effects of the J.R.R. Tolkien films. The long-running crime drama CSI featured Robert David Hall, a man with prosthetic legs, in a major role, and NCIS New Orleans has a main cast member, Daryl Mitchell, who uses a wheelchair in the real world as well as on TV. 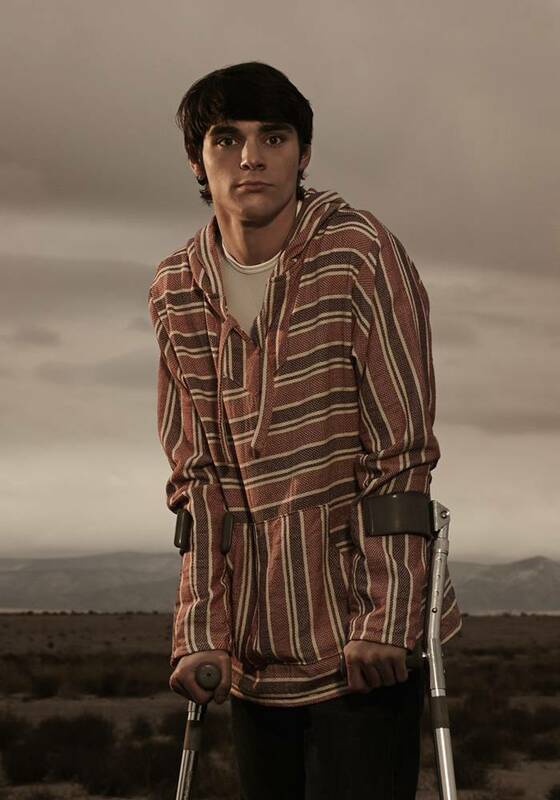 RJ Mitte has cerebral palsy, like his character Walter White Jr on Breaking Bad. The series Switched at Birth has deaf and disabled actors in major roles. American Horror Story: Freak Show cast many actors with disabilities and unusual medical conditions. My favorite art form had a breakthrough, at last. 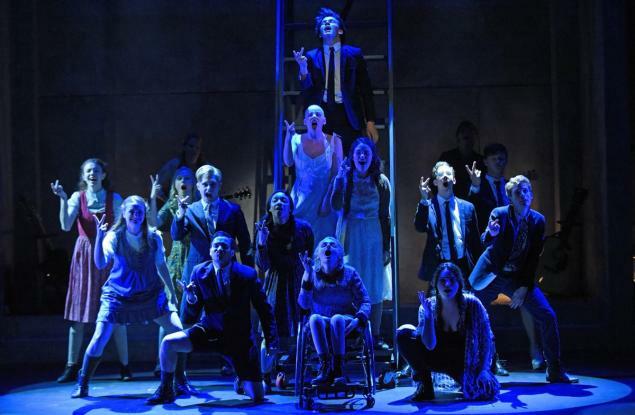 In 2015, Ali Stroker became the first actor who uses a wheelchair to appear in a Broadway show, Deaf West Theatre’s Spring Awakening. That’s right, in an industry that has existed since the 1800s, there had never been a person using a wheelchair in a musical or play, except those who didn’t really need one. Things are starting to change, particularly on TV. But we’ve got a long way to go, so hurry up, Hollywood and Broadway. Ali Stroker is the first and so far only person in a wheelchair to perform on Broadway. As a person with cerebral palsy in real life, RJ Mitte brings depth and realism to his portrayal of Walter White Jr on Breaking Bad. Depictions of disability in film and theater are often broadly stereotypical. Hollywood and Broadway tend to reduce people with disabilities to objects of pity or maudlin inspiration. They trot out the old miracle cure story line, the scarred and deformed villain, the brave and innocent soul trapped in the broken body, or some other over-used trope. Movies like Million Dollar Baby promote dangerous and false perceptions that life with a disability is not worth living. In reality, most people with disabilities like our lives as much as anyone else, and want to be alive. Most of our depression and hopelessness, when we feel it, is the result of discrimination and lack of access to buildings and services that people without disabilities take for granted. Want to make our lives better? Take Stevie Wonder’s words to heart. Do your part to make things more accessible in your community, and in your local theater or arts organization. In general, people with disabilities are pretty much like everyone else. We are rarely pure heroes or diabolical villains. We are mostly good people, with a few flaws here and there, like the average human without a disability. We don’t spend all day every day thinking about our disabilities. We eat breakfast, go to work, fall in love, play sports, go out dancing, travel, date, get married, raise children… We do the same things a person without a disability would do. Our stories should be told if we are interesting people for more reasons than just our disabilities. Born This Way is a reality TV series about the lives of young adults with Down Syndrome. It shows that they have the same interests, emotions, joys, and struggles as people their age without disabilities. As previously mentioned, one out of every five people has a disability. We are the world’s largest minority. We also have family members and friends. Altogether, it’s estimated that two thirds of the planet has a connection to disability. That’s two out of every three people in the entire world who are likely to be interested in a story about someone with a disability, or featuring someone with a disability. Your story doesn’t have to focus on the person’s disability. Just take an ordinary character in your movie, musical, or TV show and make their disability one small part of who they are. People will care, and you’ll make money. As patrons and audience members, people with disabilities want to spend our hard earned money on movies and concerts, but we don’t have equal access to theaters. In almost every theater or concert venue I have ever visited, there is only one wheelchair accessible section, usually towards the back of the orchestra section. It’s separate from everyone else, and you’re only allowed to purchase a single non-disabled companion seat next to you. If you have additional family or friends, they have to sit somewhere else, sometimes far away from you. If you’re like me, and enjoy sitting in the first few rows, you’re usually out of luck. A few theaters have the ability to pull out aisle seats in almost any row, or offer accessible seating within the first 10 rows. I make a point of seeing shows there as often as possible. For people who are deaf, choices are even more limited. 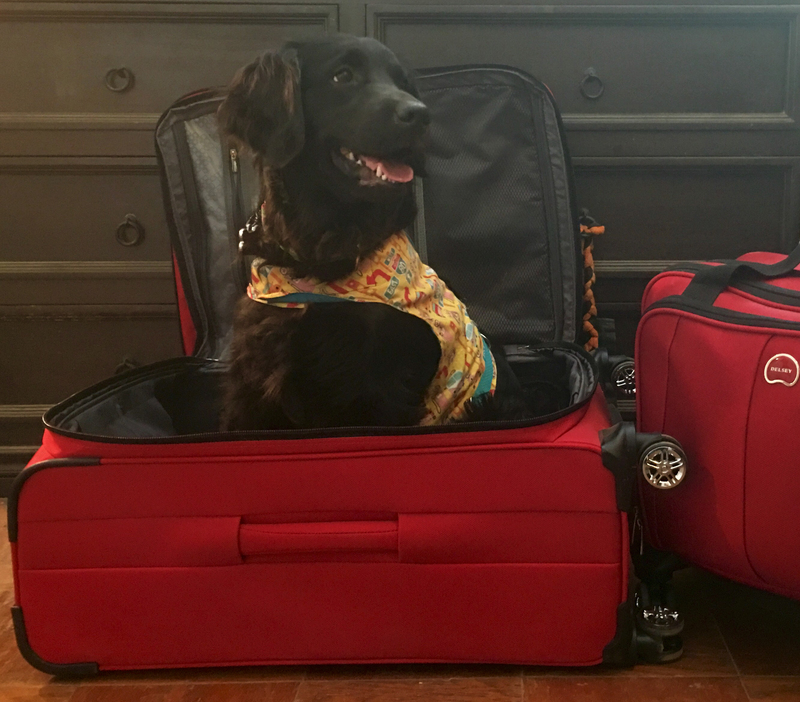 There are frequently no or only one captioned or signed performances of a musical or play when it visits a particular city. For people who are blind, audio description is still rarely available. There’s no reason for this to be the case. Every performance of every show should be signed or captioned and have audio description headsets available. It doesn’t, or shouldn’t, take away from the experience for people who don’t need it. In fact, I greatly enjoyed a signed performance of Once that I happened to attend, despite not knowing any American Sign Language. The ASL interpreters, a man and woman, were excellent actors in their own right, and I found myself watching them often. They really added to the show. 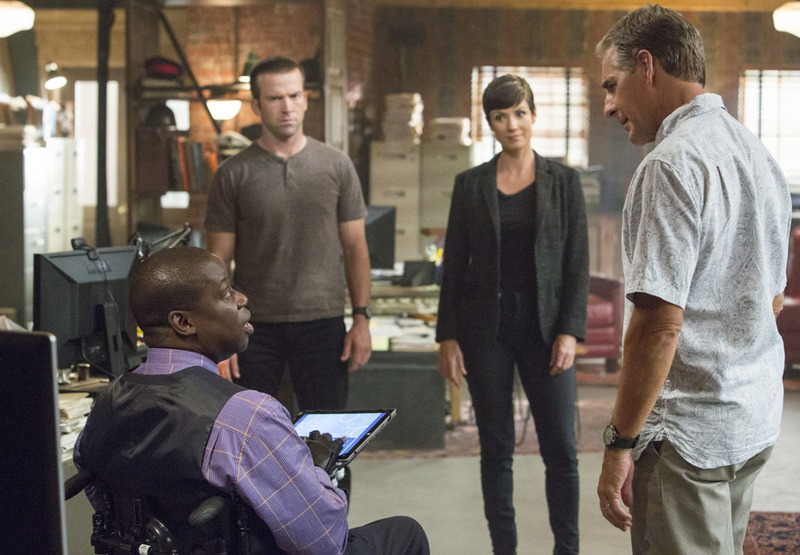 Daryl Mitchell plays Patton Plame, a genius computer analyst with a bold sense of humor on NCIS New Orleans. His disability is not the focus of the show, just one aspect of his character. Daryl is a paraplegic due to a motorcycle accident. The entertainment industry is not kind to anyone without a “perfect” body, whether due to disability, age, or not fitting the prevailing beauty standard of the moment. Typecasting and racism are still enormous problems. Older male actors get cast in plenty of movies, usually opposite much younger actresses, while older female actresses are passed by. Broadway theaters would rather hire a TV or film actor with a famous name than someone who has been in the musical theater world for years and is a better singer and performer. Pop stars become popular because of their appearance or outrageous behavior, rather than their talent, which is all too often artificially manufactured. It’s all part of the same insidious judgment about appearance that leads to discrimination against people with disabilities. It’s time for the entertainment industry to take the lead in ending it, instead of taking the lead in promoting it, as they have for generations. Ultimately, I believe the entertainment industry is harming itself. We, the people they don’t want to cast or talk about in realistic terms, are out there with money to spend. Our friends and families are, too, and put together that’s an enormous market they are ignoring, and often outright disrespecting. People of color and the LGBT community have been outspoken in demanding that their experiences be reflected in movies, TV, and musicals, and it’s starting to happen. It turns out that a lot of people like these stories, the ones that the entertainment industry didn’t want to touch before because they thought they wouldn’t be profitable enough. They’ve provided employment for diverse performers, and created role models for young people who felt isolated and misunderstood. Now it’s our turn. We people with disabilities want to see and be part of stories about our lives, and it’s time for the music industry, Broadway, and Hollywood to start hearing our voices. Preach it, Stevie Wonder!